The other day as I was sauntering through the grocery store, I noticed that the produce had been switched up. The apples and pears were at the front of the produce aisle and the summer fruits were gone(sigh!) Suddenly I thought to myself, “it’s time to prepare a Pear Arugula Salad With Candied Walnuts!” There was a display with California Walnuts and fresh arugula was being shelved and the recipe for Pear Arugula Salad with Candied Walnuts just started falling right into place and beckoning me to get busy. Taste and versatility are key in any kitchen and the salad that I was about to prepare rang in harmony with both. This is my story of lavishly living food out loud as we prepare Pear Arugula Salad with Candied Walnuts. Did you know that California Walnuts are perfect for baking and sweet recipes, because a California Walnut offers a very soft texture, that just tee up many dishes you curate in the kitchen? California Walnuts can be baked, roasted, browned, eaten raw, or set into cookies(Mmmm). You can add a multitude of seasonings to a Walnut speaking to its versatility, including spices and herbs so they will fit seamlessly into your dishes while kicking up the taste! 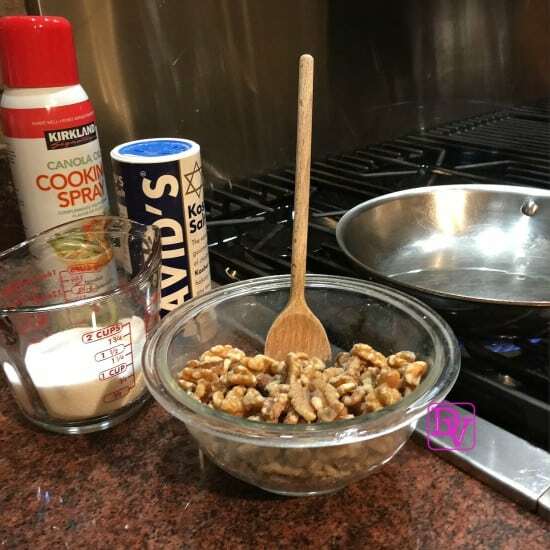 My infatuation began early on as my mom prepared Candied Walnuts in our home each week, more like a savory sweet piece of candy than a healthy snack option, but in fact, Walnuts are truly the only nut that will provide you a significant amount of plant-based omega-3 fatty acids (2.5 grams per serving). If you need to gain a little extra protein in your diet, a walnut can help you gain that because just an ounce of walnuts provides 4 grams of protein and 2 grams of fiber. Cooking is an education, and as I work with ingredients I love to learn about them. 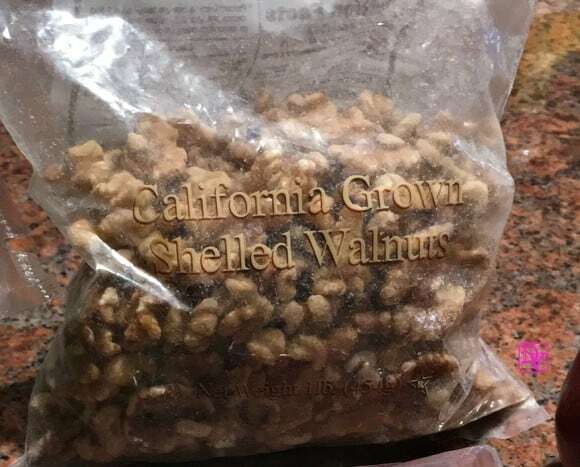 As I am going nuts(pun intended) learning more about Walnuts, I learned that California walnuts account for 99 percent of U.S. production and three-fourths of world trade. Additionally, (yes a little more trivia) walnuts are the oldest known tree food, dating back to 10,000 B.C. meaning that walnuts have been cultivated for over a millennial! Buying a walnut is only one part of enjoying the delicious flavor, but there is proper storage and handling to keep the walnuts tasting fresh and keeping them from going rancid(yep, live and learn). Keep walnuts cold and in an airtight container, and if you decided that you overbought(no face jamming), and you have a mass supply that won’t be used for a month or more, put them in the freezer in an air-tight container away from strong odor food. It is time to go back to my mom’s because she is the expert on the Candied Walnut, and she loves to cook(see the apple does not fall far from the tree, or should I say pear, lol!). Imagine crunchy, sweet and sassy candied walnuts for crunching and munching during Thanksgiving and on Thanksgiving day. You can do it. 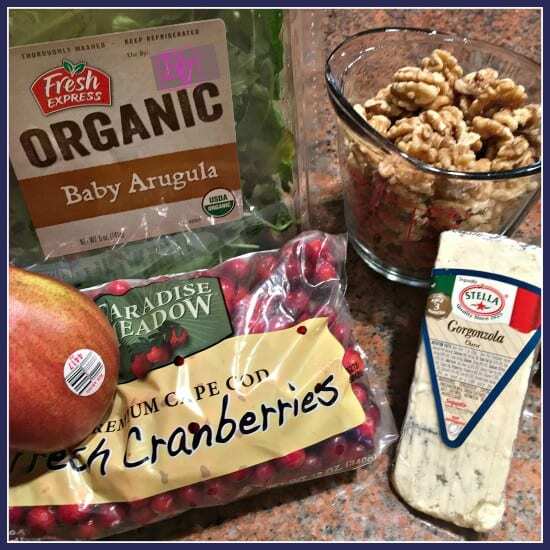 This is a three-step recipe, step one will have you making Candied Walnuts and step 2 of the recipe will help you prepare the Pear Arugula Salad, while step 3 will guide you through the White Balsamic Dressing. Over Low Heat, Spray pan with non-stick cooking spray. Melt the butter and stir in sugar, and add in nuts, sprinkling with kosher salt. Do not stop stirring(constantly) until all nuts are coated evenly, then remove from heat and allow to cool. Rinse and Pat Dry the Arugula, place in a bowl. In a pot, over low heat, add the balsamic dressing, canola oil, water and stir, allowing it to heat thoroughly. Add in sugar and stir until dissolved. Remove from heat and pour over salad. Serve. *Note there will be extra walnuts, but they can be stored in the refrigerator in an airtight container and used at a later date. Over Low Heat, Spray pan with non-stick cooking spray. Melt the butter and stir in sugar, and add in nuts, sprinkling with kosher salt. Rinse and Pat Dry the Arugula, place in bowl. In a pot, over low heat, add the balsamic dressing, canola oil, water and stir, allowing it to heat thoroughly. Add in sugar and stir until dissolved. Remove from heat and pour over salad. Before I go on, I’d like to say special thanks to my Mom who took the time out to create my salad! 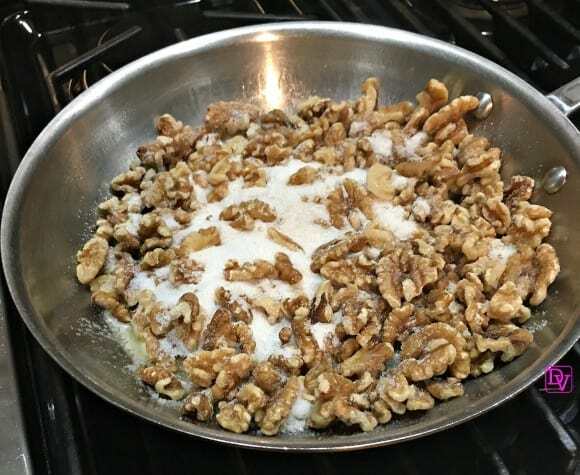 Remember you are working with butter and sugar, and these will burn quickly, so you have to constantly stir the walnuts while they are being cooked. The dressing can be made cool and served cool, but you would want to eliminate the sugar. Additionally, the recipe yields far more walnuts than needed, but they are god tossed on practically anything. IF you are looking for more versatility to enhance the flavor, add cinnamon to the nut mixture! 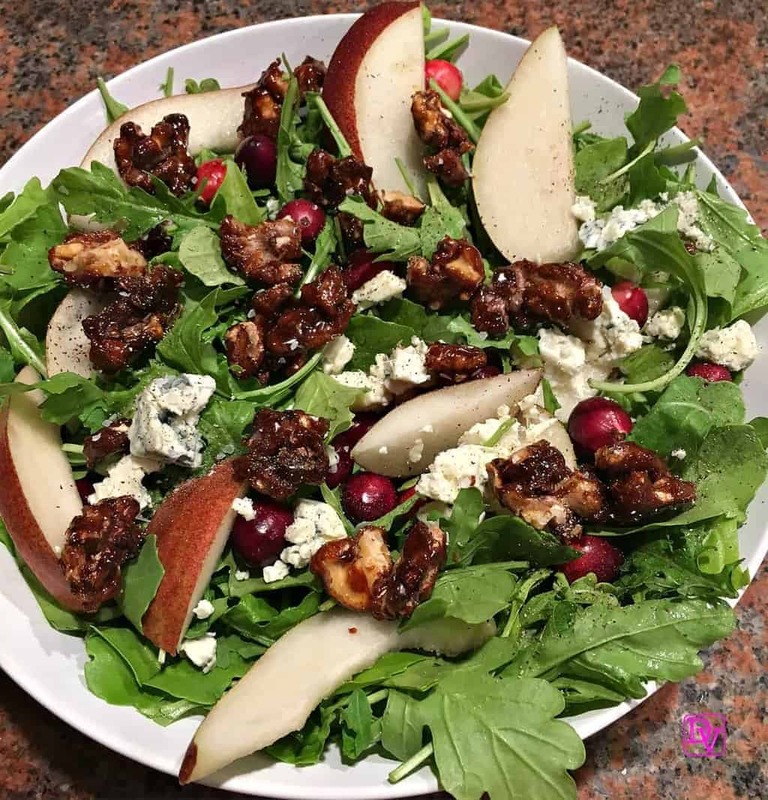 Enjoy the season of the walnuts and merriment and create a Pear Arugula Salad With Candied Walnuts. Lovely article for gaining information and it a good thing to know about these kinds of things.Free online date is a truly free dating site with 3 million dating profiles.Enjoy free chat & meet singles with 100% free date app with no credit card. This is one of the best salads I have ever tasted. The walnuts were a great addition. It was amazing. Thank you for sharing this recipe. What a delicious looking salad. I love adding walnuts for a crunch. Since I’m fortunate so far to have no allergies to any kind of food, this could definiteely make it to my menu. This looks good. I could eat it everyday. That looks so good! I love salad and pears so this sounds like a great combination! Yum! I love candied walnuts, and am getting to like Arugula more and more. Sometimes it has more of a bitter taste than others :). I just made myself a salad like this the other night for dinner but didn’t candy the walnuts…that looks a lot tastier!! oh, wow! This is my kind of lunch. I love the candied walnuts idea. Thanks for sharing! What a lovely salad! Thanks for the share. I love Arugula and candied walnut! Thanks for sharing this delicious recipe..
Looks so yummy and healthy!! Candied walnuts? Be still my heart! This salad looks amazing, and I do love arugula! I would eat the candied walnuts on their own but they sure are good with salad too! I love arugula, I would eat it everyday if I could. Thanks for the recipe! It looks yummy! I love the walnuts! I’m gonna try this for dinner. I am not a fan of sweet things in my salads. I’m sort of weird when it comes to not mixing savory and sweet! 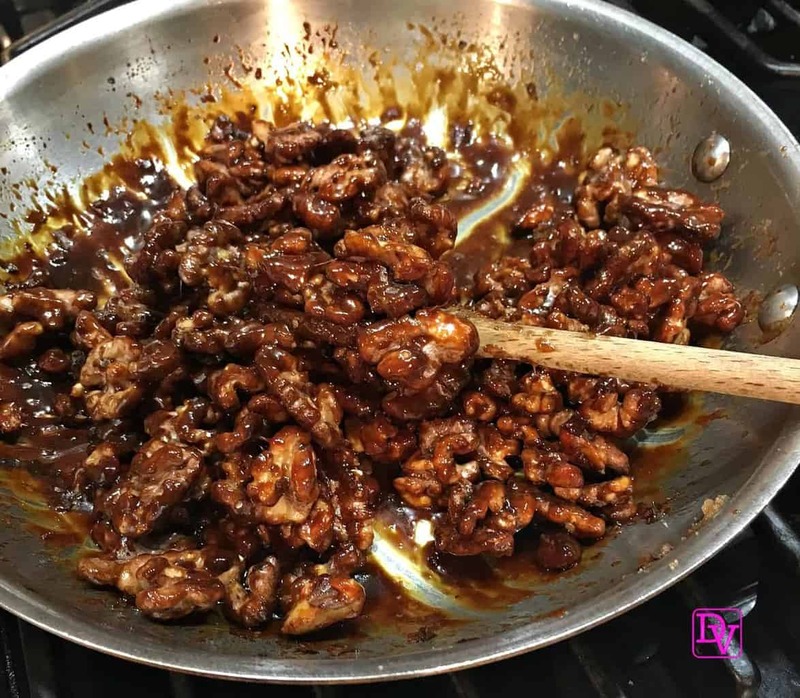 This looks delicious and so healthy too I have never tried candied walnuts before. The salad looks so yummy. I love candied nuts. I love walnuts! This salad looks so yummy, I need to make it. That sounds like a yummy lunch! I can’t wait to try this.